These Liberty Black Self-Closing Full-Overlay Door Hinges are constructed from durable steel and feature a pleasant black finish to complement a variety of interior styles. Use these hinges for mounting cabinet doors, such as kitchen or vanity doors. Mounting hardware is included. Self-Closing feature requires minimal force for cabinet door closure. 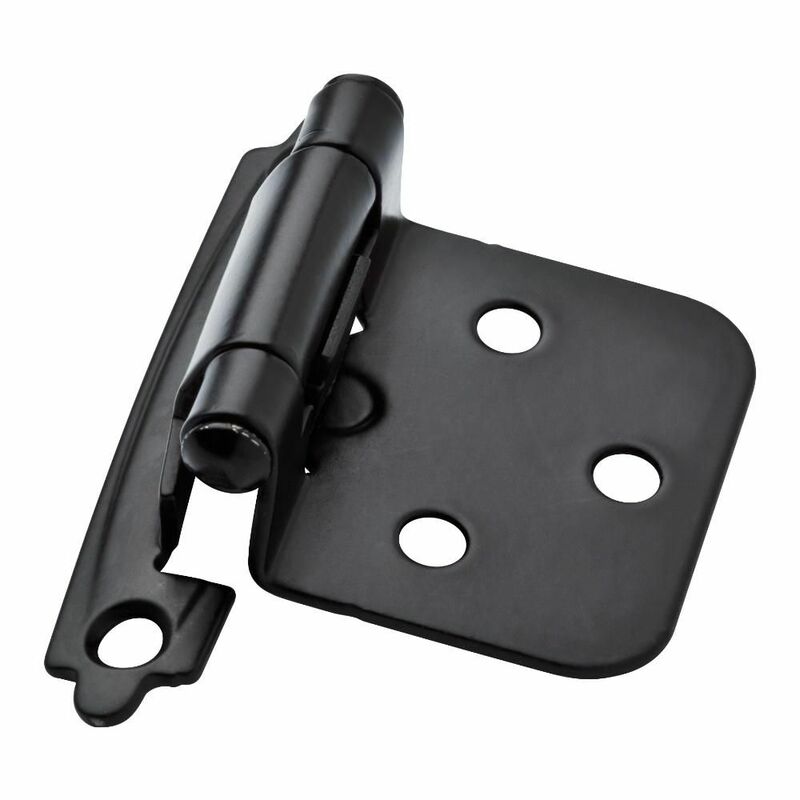 Self-Closing Overlay Hinge, 2 per package These Liberty Black Self-Closing Full-Overlay Door Hinges are constructed from durable steel and feature a pleasant black finish to complement a variety of interior styles. Use these hinges for mounting cabinet doors, such as kitchen or vanity doors. Mounting hardware is included. Self-Closing feature requires minimal force for cabinet door closure. Self-Closing Overlay Hinge, 2 per package is rated 4.4 out of 5 by 18. Rated 5 out of 5 by Bernard from Perfect retrofit.... Perfect retrofit.